Leizhan’s innovative solutions enable paper mill to lower energy consumption, boost final paper quality, improve performance and reduce costs in paper making process. Leizhan special designed refining solution can highly improve the beating and breaking degree of paper pulp. Leizhan delivers Refining equipments like ZDP Series Double Disc Refiner, DD Series Double Disc Refiner, ZDJ Series Claflin Refiner, ZM Series Conical Refiner for paper mill. 1. Improve the beating degree of pulp greatly. 2. Suited for all kinds of fiber pulps. 1. used for pulping, improving beating degree of paper pulp. 2. It can be installed variety tooth refiner plate. 3. Suited for various raw materials. 4. Adopt constant power control system. 5. Accurate retract mechanism, excellent beating effect. 1. Mainly apply for pulping and can be used with double disc refiner in series. 2. Long refining area, strong ability to cut fiber. 3. Rotor and stator adopt various tooth shape design. 1. Improved beating degree of paper pulp. 2. Strong ability to cut fiber. 3. Casing lined with stainless steel. 5. Rotor and stator apply to various tooth profile. 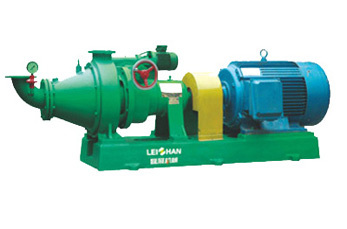 Leizhan refining equipments supplied for paper mill can highly improve slurry breaking degree, lower energy consumption and achieve high pulp quality, large production and Long service life of paper making lines.